Sonu Shivdasani was born and studied largely in England, with some periods of his education being in Nigeria and Switzerland. In 1995, Sonu and his wife Eva opened their first property – Soneva Fushi , in the Maldives, creating a high end market in what was formerly a mass market destination. 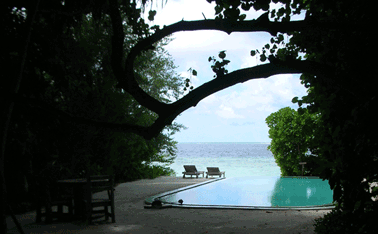 In 2000, Soneva Fushi was awarded the Best of the Best by the readers of Conde Nast Traveller UK. Sonu’s concept was Intelligent Luxury and was the forerunner and inspiration for a host of imitators who saw the potential in going green. The Soneva Group is a world leading sustainable luxury resort operator. It is made up of Soneva Fushi and Soneva Kiri in Thailand. 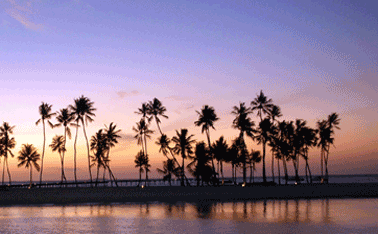 The company also holds a majority stake in Six Senses Laamu and Six Senses Hua Hin properties. Further Soneva resorts are planned in Sri Lanka, the Maldives and Greece. Soneva in Aqua, a new yacht experience, will be launched in the Maldives in 2013. The company is committed to leading the fight against climate change within the tourism sector with Soneva Fushi decarbonising by the end of 2013 and the other resorts to follow. 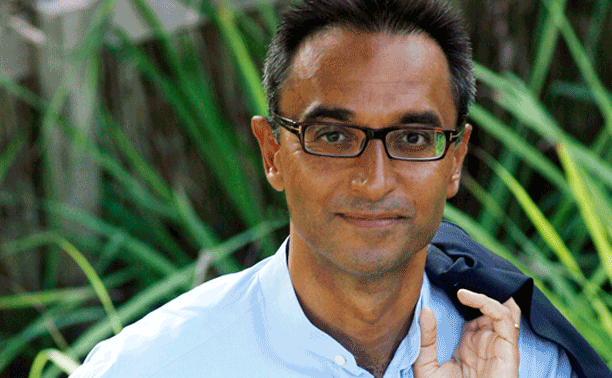 The Soneva Group came into being following the decision by Sonu, the founder of Six Senses Resorts & Spas, to sell the Six Senses and Evason brands in February 2012. He retains the role of Chairman and major shareholder in the Soneva Group. Tim Willmott: First of all could you give a very brief outline of Soneva and its philosophy? Sonu Shivdasani: The core purpose of Soneva is to create innovative, enlightening SLOW LIFE: SLOW standing for Sustainable, Local, Organic, Wellness – like slow food; and LIFE meaning Learning, Inspiring, Fun Experiences. That’s really very much what we’re about, and sustainability is very much an essential part of it. There are various aspects of our sustainability policy that are more structured. For example, half a percent of revenues from each property go to SERF, which is our Social and Environmental Responsibility Fund, and we have a HEMP – Holistic Environment Management Plan – where each property has an environmental office. Then there are various initiatives which go beyond that, so for example every property has an organic garden – at Soneva Fushi there are two organic gardens – and it’s luxury as well because our guests are saying that the rocket salad at Soneva Fushi is the best they’ve had anywhere in the world! We’re also offsetting our CO2 at the Soneva resorts. Are you looking at any in-country schemes? We established a large Forest Restoration Project in northern Thailand in 2011. So far we have planted 200,000 trees with another 200,000 going in the ground in 2012. This will restore 400 acres of degraded land and mitigate 320,000 tonnes of CO2. The first Site was in Sri Lanna National Park , Chiang Mai, whereas the second is part of the Royal Project in Nong Hoi, Chiang Mai. We use a Framework Species Methodology where 20-30 different species are used. This will attract seed-disbursing birds that over a period of 7-8 years will increase the tree species up to 90 creating a rich biodiverse forest rather than a plantation, Local communities are engaged in the project, both full time, part time and as suppliers to the project. A Cook Stove Project in Darfur, Sudan, is currently being implemented mitigating 300,000 tonnes carbon over a 7 year period. Not only will it mitigate carbon, but also have significant social benefits. The Cook Stove Project aims to distribute more than 140,000 energy efficient cook stoves and water purifying devices over 7 years to residents of the internally displaced person (IDP) camps in the area. It will dramatically reduce the amount of time women must spend collecting firewood in unprotected area – an activity that can take up to 25 hours per week. It will reduce the carbon emissions resulting from cooking fires by an estimated 300,000 tonnes over a 7 year period. Furthermore, it will reduce pressure on the local biosphere and deforestation in surrounding areas by reducing demand for wood-fuel as well as reduce indoor air pollution from cooking fires, which is a major cause of premature death amongst women and children in rural Africa. These two projects are in addition to the 1.5MW wind turbine mitigating 70,000 tonnes of carbon directly and another 30,000 through other community projects that we built in Tamil Nadu, India. All in all these projects will mitigate more emissions than the company’s entire carbon footprint including guests flying to the resorts. We decided a year and a half ago to ban imported bottled water as part of the local sustainable element and our “Wholesome” element, and we bottle onsite in most of our resorts. Part of the revenue from that goes to charities or giving people access to fresh water. We started giving the money to charity in October 2009, and we’ve helped over 600,000 people in 52 countries get access to either clean drinking water or basic sanitation services. What threats do you see to the travel and tourism industry as a result of climate change? Oh I think there are huge threats, firstly most of our resorts are in East destinations, our home (Soneva Fushi in the Maldives) is only one metre above sea level, so of course the threat of rising water levels is huge for us and a lot of our resorts, but even if the water levels don’t rise quite so far so rapidly, the heating of the water will destroy the coral which is one of the prime raisons d’etre for people to go to the Maldives. So it’s key, and most of our destinations would be impacted by warmer temperatures. What is the response of the industry in general? Very little at the moment, it’s a pity and there’s clearly much more that we should be doing and we certainly need the government to lead the way because there are certain things which need regulation rather than entrepreneurs coming up with initiatives. It helps if governments impose regulations because that focuses everyone’s attention on what to do, and it’s an urgent and pressing issue and we seem to have lost a lot of time. I agree. Are there other threats to travel and tourism at the moment, and if so, what are they? There’s clearly political instability, and we’ve been a bit unlucky in Thailand and that’s had an impact on our business for the last couple of months. Clearly the global economic slowdown hasn’t helped but then we’ve managed to supplement some of the drop in Europe with Asian travel, because the Asian economies are growing and evolving. I think the two biggest threats to travel and tourism are environmental issues – global warming and some of the other environmental issues – and political instability in destinations where we operate. A lot of your customers can fly quite considerable distances to get to you – what are your thoughts about peak oil and the possible changes to transport, especially air transport, in a post-carbon economy, or do you think the carbon economy will continue for the foreseeable future? I think that there have been suggestions that people should stay longer at destinations, not travel long haul and just holiday short haul. People will talk about these things but then they’ll still want the luxuries that they’ve become accustomed to, so if they have the ability to travel on a long-haul flight in the winter when it’s cold in Europe, and the days are dark and short, and they are used to their break in the sun, it’ll be difficult to unhook them off that. So I think that’s a challenge – people aren’t going to change their ways and deny themselves a luxury, so what we need is to try and give them their luxuries but in a sustainable way. Therefore I think the way forward is improved efficiency and technology with aircraft – and we’re seeing that, the Airbus E380 seems to be much more fuel efficient per passenger than the 747 by quite a big margin. The 787 is meant to be even more efficient but I think the break is going to come from dramatic changes in technology, not incremental changes. Are there any positives to be had – you’ve explained very well what you’ve been doing at Six Senses and I think you really are out there at the forefront of this thinking but are there any other positive stories or trends coming through from the industry in general? Unfortunately the tourism industry hasn’t really taken adaptation on board as quickly as they should. I’m just aware of what we’re doing and I do sometimes feel we’re a bit alone in all of this and I wish we had more industry colleagues following us. I hope that this water initiative can be repeated – I’m going to circulate it to the industry to see if I can encourage them to follow through. But if all the top 10 hotel groups followed suit and they had a similar success in terms of contribution to the charities as we are achieving per hotel they would raise between $900m and $1.8b a year towards water charities – quite a lot of money, and that would help the water issue. On balance are you optimistic or pessimistic about the future of global society? I’m quite concerned, if one reads a lot of the experts, it’s been too little too late, so there’s clearly a lot of concern but at the same time I’m naturally an optimist so I’m keeping my fingers crossed that the solutions will come. I’m clear in my mind that people will not sacrifice luxuries they are used to, especially if they can’t see the dangers immediately right in front of their nose. Most of the initiatives that we’re putting together are not loss-leaders – the water project, ok we lose a bit of water revenue but it’s not huge. The organic garden is actually a profit centre as well as delivering an experience that makes our guests come back, and I think if more and more people become concerned about the environment then there’s that consumer imperative, and it then becomes a commercial imperative for most resorts to be sustainable. I’m also worried we may get to the level where even if we stop emitting CO2 it may be too late and the planet will start emitting more CO2 than we (humans) do and the world will start heating as a result of the glaciers having melted too much. But the jury’s still out isn’t it, which way things will go? What do you think is the most appropriate response to climate change deniers – what’s the best strategy to diffuse their argument? I think firstly one can’t deny the fact that there is melting going on and glaciers are receding and I know they are saying this is to do with global weather patterns, and these have happened before, but even so it’s just too much of a risk to take. We are dependent on a scarce, finite resource in terms of fuel and oil and, as Sheikh Yamani put it, just as we progressed from the stone age before we ran out of stones, we need to go beyond the oil age before we run out of oil, because if we do run out of oil civil society will just break up. We’re so dependent on energy to live our lives and maintain the lifestyles that we are used to and also keep peace and stability – there’s just too much at risk so even if the world isn’t heating up we are running out of diesel, so we may as well replace it with sustainable technologies that don’t have an impact from a CO2 point of view. I was intrigued by an interview that appeared in the Times in which you talked about your Hindu family and cultural background. I think most people would say that climate change and general consumerist society is rooted in Western culture. Do you think there’s likely to be any change as new economies with different cultural roots – and I’m thinking particularly of China and India – become more powerful and influential? Well the early indications aren’t there! If you look at Indians and Chinese they really want everything that the West has – nice cars etc. Look at China. In the 70s in Beijing I remember there were about ten black cars in all of Beijing. The majority of the people were riding round on bicycles. Now China is the second biggest market for Bentley and Chinese consumers all want the same – they want to travel to Europe and go shopping to the luxury goods stores. Luxury firms are citing China as their biggest growth market. Of course I think what will happen is they’ll go through the different phases of luxury – initially they’ll buy things like a white Rolls-Royce to prove to everyone that they have money, then they’ll want to buy things because they want to show a bit of taste, then they’ll be buying experiences and then they’ll want to use their wealth as an extension of their purpose and their personality and their soul, and then they may start giving a lot of their wealth to charity – people like Warren Buffett and Bill Gates have done this – so I see these new emerging markets following through those five cycles of luxury. But that will take a bit of time and I don’t think that Asian spiritualism, Hinduism or Confucianism, will have an impact on their current habits initially. So we’re talking about a truly globalised culture? Yes I think so, and I think what will happen is that once they’ve got that wealth and they’ve experienced it, they’ll evolve to other levels. Given that Indians are quite spiritual, given that the Chinese have believed in Buddhism and the philosophy of Confucius, and have that history and that deep culture, and most Chinese went through a Buddhist education under Communism, I think you will find that they’ll move to another stage much quicker and then as they start seeing the challenges of the world other things will be more meaningful to them than owning a white Rolls-Royce. But I think we’re talking about 20-30 years before you see that. Sonu and Eva together have done an excellent job in the Maldives by setting up the first ever eco friendly resort in the country. Their philanthropic activities are worthy of praise. Hats off to the couple!